The creators of Los Angeles’ Jason Markk know how much passion and capital goes into today’s sneaker retail and reselling markets. Billions in revenue sales are shared between the top two sneaker retailers in the world, with Nike reeling in $32.4 billion and adidas pulling in $25.2 billion in revenue sales in the 2016 fiscal year alone. With this in mind, the ability to upkeep these wearable investments has become key in maintaining their value and notoriety, providing an ample place for the sneaker cleaning enterprise to enter. 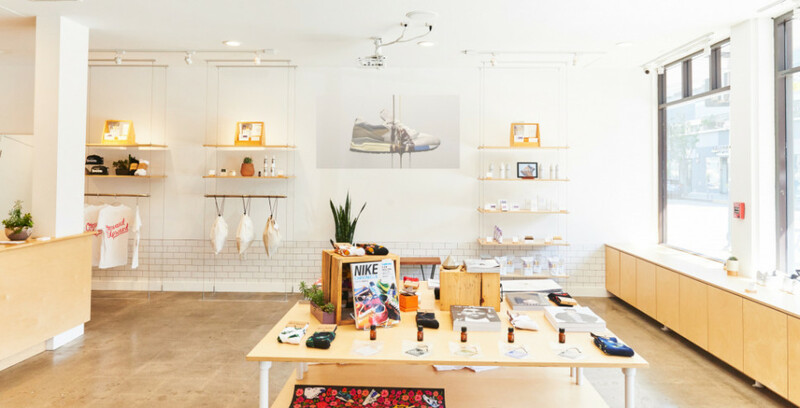 Opened in May of 2014, Jason Markk’s sneaker dry cleaning flagship is located in the LA neighborhood of Little Tokyo and acts as a concept retail model and functional space for patrons to get their kicks cleaned and engage further with contemporary sneaker culture. While the premium shoe care service was established back in 2007, the flagship’s arrival in 2014 has been described as a natural extension of the company’s services, having cleaned over 7,000 pairs of sneakers in-house during its first year in operation. Among the various services offered, Jason Markk provides everything from modest sneaker maintenance such as lace-swapping to more thorough and high-grade support including insole and lining cleaning, undersole cleansing and deep cleaning for premium or delicate materials such as suede—found on some of the year’s most popular sneaker releases including the Kanye West Yeezy sneaker line. As the motion of sneaker retail and reselling continues to accelerate, with selections from the Yeezy sneaker line retailing for $200 but reselling for upwards of $3,000, designated spaces for sneaker upkeep could be a new norm for metropolitan cities around the globe, with flagships such as Los Angeles’ Jason Markk leading the pack.